I’m home. Tired, and with a banging head cold, but I survived my time in New York. I set a relatively low bar in terms of my expectations. I figured that if I wasn’t mugged, knifed or blown up in a terrorist attack in Times Square I’d be ahead of the game. As it turned out…it was a lively trip but in the best possible way. Day One: My alarm sounds at 3:30 a.m. I check my phone and discover that the airline has changed my seat assignment. What they failed to tell me is they also changed the departure gate to another wing of the terminal. I have a whole blog worth of observations about airlines and weird people on airlines but that’s for another time. So let’s just pretend that through the magic of space travel we made it back to NYC in time to have a glass of wine at an Irish pub. As it turns out, we ate at three different Irish pubs over four nights – West End Bar and Grill, Alfie’s, and McHale’s. 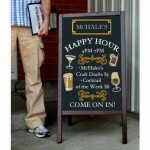 All three places were filled with locals, had decent prices and – this is critical – awesome happy hours. We also frequented Hurley’s, the Irish pub next to our hotel, for an Irish coffee one night. We decided that it must be our partial Irish heritage that attracted us to such places, along with the aforementioned happy hour of course. In any event, we checked into our hotel, the TRYP Times Square, where we discovered our room to be approximately the dimension of a good-sized bathroom in any other city. But, as they say, we didn’t go there to sleep. And with the blaring taxi horns and the visiting high school ski team from England next door, we didn’t. Day Two: We had tickets for the 9/11 Museum at 9:30 so we Uber’d it downtown. There is so much to say about the memorial that I will write about it in a separate blog later this week. It was a beautiful day so after our tour we decided to walk The High Line. 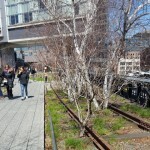 The High Line is a recent addition to the New York experience and is well worth a visit. It is approximately 1.5 miles of unused elevated railway that has been transformed into a walking trail lined with beautiful plants and resting areas. It is a fabulous stroll, meandering through the Meatpacking district and Chelsea, and has totally transformed what was a blighted area into a neighborhood where apartments sell for a cool $5 M. That seems to typify New York…transforming an area where no one wanted to live into a place that is unaffordable for all but bond traders and trust fund babies. The other nice feature about the High Line is that for a brief period of time you are relieved from having to dodge the cabs that terrorize the streets. It would appear that most New York cab drivers take traffic lights as mere suggestions and running down pedestrians is what they do for sport. I imagine that at the end of their shifts they gather to see who “scared off” the most tourists. From the High Line we walked back up to our hotel, where I collapsed in a heap of total exhaustion. But, again, we didn’t go there to sleep, so after an hour’s rest, we walked up to Central Park. My two great-nieces, you see, had not had enough exercise for the day and wanted to get in a little run. Note to self: I need to be in much better shape to hang with 16 and 18 year-olds. After dinner at Alfies, we retired for the day. I checked my Fitbit – I’d walked 20,000 steps (9 miles) that day. No wonder my knees ached. The good news is that the English ski team checked out so at least it was quieter. Except for the horns. Day Three: Sometimes you’re lucky to know someone in town and this certainly proved to be the case in New York. 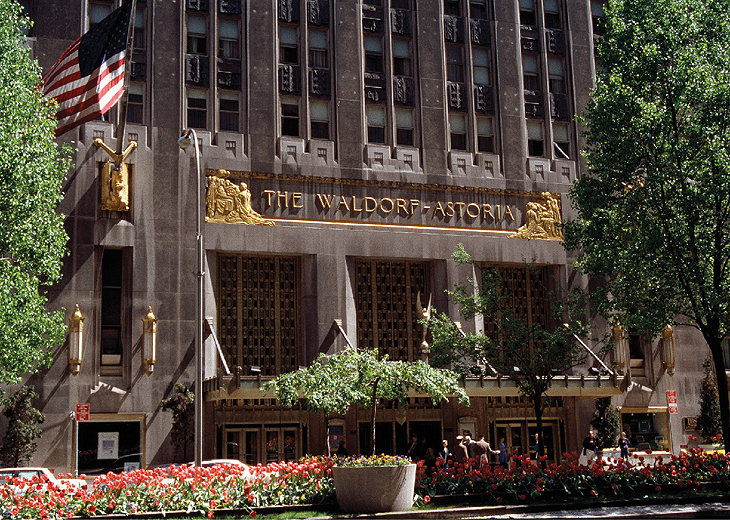 A good friend of mine recently moved there because her husband became the General Manager of the Waldorf Astoria. The poor thing has to make do with a three bedroom apartment in the hotel. Can you imagine the hardship? Heck, I’d order room service every night. In any event, she arranged for us to take a guided tour of the historic hotel and partake in a wonderful lunch afterwards at Peacock Alley – named such because people used to watch the “swells” parade like peacocks between the old Waldorf and Astoria hotels. But here’s where it really came in handy to have a connection – the maître d’ gave each of us a box of FOUR of the famous Waldorf red velevet cupcakes upon our departure. I won’t say how many I ate but I’m not sure I walked enough to account for all of the calories. That night we skipped dinner – we were still full from lunch and cupcakes. We had tickets to see “An American in Paris” at the Palace theater. 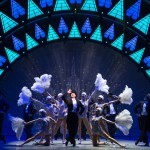 The play is magical – a combination of ballet, jazz, singing, and acting woven into a great story with a Gershwin score. It won several Tony awards and after seeing it I understood why. It made me wish that I hadn’t given up ballet at age 10. I do have to say that the only surprise of the night was how some people dress to attend the theater. The worst was a man wearing one of those “wife-beater” shirts – you know, the sleeveless ones that instantly deprive the wearer of at least 50 I.Q. points – and shorts. Ironically, he was seated right next to a man in a suit and tie who clearly understood the sense of occasion. It made me think that perhaps we are becoming a nation of slobs. But again, that’s a blog for another time. Day Four: No plans or tickets to anything. We ate a late breakfast and then took off walking. 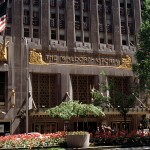 We strolled by Rockefeller Center and over to Fifth Avenue, the universe’s vortex of high-end shopping. It’s fun to window shop but on the theory that if you have to ask how much something is you can’t afford it, I didn’t go in any of the stores. I speculated that the necklace in Harry Winston’s window would have eaten up my entire 401k. We walked up the East Side of Central Park, crossed over to the West Side and then stopped for coffee. That’s the great thing about NYC, as my niece says, you can’t swing a dead cat without finding a Starbucks. Later, on our last evening, we hit McHale’s for dinner and then decided to “do something”, although that varied for all of us. The girls wanted to wander Times Square and then go work out (seriously, it’s hard to believe we’re related), my niece wanted to see “School of Rock” on Broadway and I wanted to see “An American in Paris” again. I know, with lots of choices and infrequent trips to NY, why would I see the same show again? Well, it’s that good and I enjoyed it just as much the second time around. The next day we woke to pouring rain – the first bad weather we had encountered. So it really was time to leave. Our group headed for the airport, flew to Dallas and sadly said good-bye as we boarded separate planes for the final leg home. It was a wonderful trip – truly the adventure of a lifetime – spent with wonderful people. But I have to say, as I crawled into my own bed last night, I don’t miss the honking horns. Yes…they never sleep because of all the freaking horns!!!!! What a wonderful trip, Suzanne – and you had great company! Your blog made me want to go to New York again soon! Loved and lived every detail of your trip…thanks so much. Can’t wait for the follow up blogs…you have a wealth of material. Thanks, Pam! Yes, I have tons of material – people are endlessly fascinating!